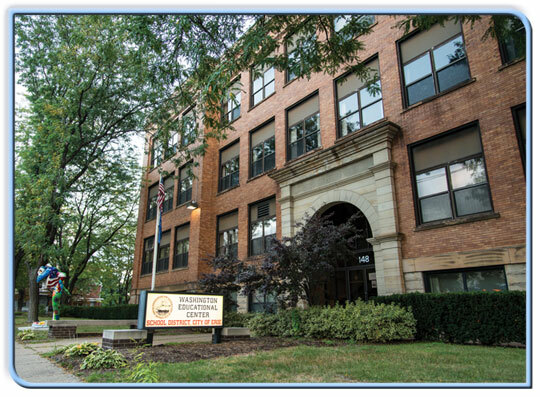 The Erie School Board oversees the schools that educate the City’s more than 12,300 students. The students themselves come from diverse economic and ethnic backgrounds – in the 2009-2010 school year, more than 9,100 members of the student body spoke an additional language other than English and approximately 6,530 of the students were minority students. To provide learning and growth opportunities for students, the School Board directs several programs, including an Academic Sports League that gives scholarships to deserving students; a delinquency prevention program that operates after school, on weekends, and over the summer; a vocational education program that teaches marketable education skills; and many other programs that foster intellectual and emotional growth. For Erie’s roughly 1,315-member school staff, the Board provides programs, such as the instructional technologies program, which encourages the use of computers in the classroom which helps make teaching and learning easier. There are more than 90 daycare facilities, childcare centers and preschools in Erie County that are dedicated to socializing and preparing young children for formal education. Erie County has approximately 40,000 children between the ages of 5 and 14. Approximately 24,540 elementary and middle school students in Erie County attend private schools. Erie County has more than 20,000 high-school-aged children. The majority attend one of 18 public or three parochial high schools. A number of families also choose to send their children to private schools or school them at home. In 1988, Act 169 made homeschooling legal. 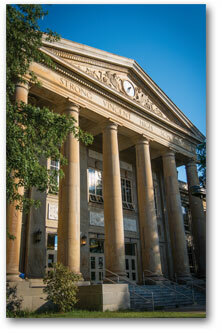 During the 2009 – 2010 school year, approximately 300 students in Erie County were educated at home. In Pennsylvania, one in every 100 schoolchildren is homeschooled. The benefits of homeschooling are increasingly evident. Parents keep their children at home for a wide variety of reasons including prohibitive costs of private schools and/or the lack of religious-based education in public schools. While the topic may be debated, there seems to be no deficiency in educational rigor. Homeschooled children have higher average ACT scores and they continue to have success in national educational contests. In order to conduct classes at home, parents must file an affidavit, along with immunization records and an outline of school objectives, as well as notifying the superintendent of their intentions. Parents keep records of progress and coordinate periodic outside reviews by a state-licensed educational professional. The Erie County Homeschoolers Association issues diplomas, and homeschooling parents have a variety of support groups that lend advice and coordinate extracurricular activities. Students in grades 3, 5 and 8 take standardized tests to assure their learning complies with national benchmarks. Founded in 1952 as the Gertrude Barber Center, the Barber National Institute’s humble beginnings gave way to worldwide respect as a special education innovator. Gertrude Barber was serving as Assistant Superintendent in the Erie School District when she realized that Erie did not have adequate special education or support for many of its students. Often these students had to be sent far from home to get the services they needed. She organized a program for these students and ran it out of a single room in the local YWCA. A curriculum had to be constructed as one did not yet exist. Word quickly spread and curriculums were added. In fact, the Barber National Institute has added a new service or opened a new facility every year since its inception. Now, the Barber National Institute serves over 4,200 people and employs over 2,200 staff members. 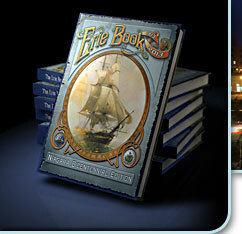 Look no further than the Erie County Historical Society for information on Erie’s rich historical heritage. The non-profit organization oversees three sites which include: The Museum of Erie County History & The Cashier’s House (400 block between State and French), Watson-Curtze Mansion (West 6th Street), and The Battles Museums of Rural Life in Girard. The group collectively showcases travelling and permanent collections relevant to Erie’s colorful past, provides genealogical information, and publishes The Journal of Erie Studies. The Erie Maritime Museum is home of the U.S. Brig Niagara, a reproduction of one of the vessels used by Commodore Oliver Hazard Perry to defeat the British in the War of 1812. The museum offers tours of the Niagara when it is in port. Excellent multimedia presentations offer insight into Erie’s maritime history. 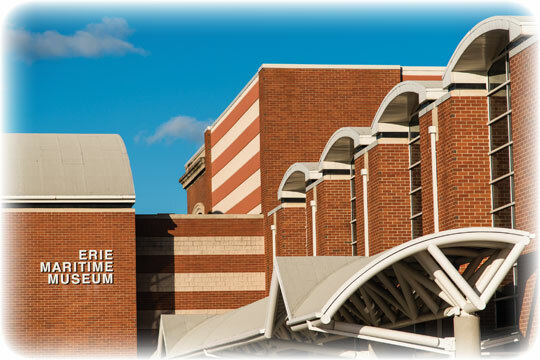 The Erie Planetarium opened during an era of revolutionary space discovery – the Russian satellite Sputnik had launched, NASA was established and the “Space Race” had begun between the Soviet Union and the United States. The Watze-Curtze Mansion’s carriage house was home for the planetarium until October 2013, when the Erie County Historical Society – which owns the property – donated the planetarium to Penn State Behrend. Visit the planetarium for its offering of public shows throughout the year, or bring a scout troop or private party for a private show. In the 400 block of French Street, the expERIEnce Children’s Museum offers interactive presentations that teach kids in an entertaining way. Exhibits include a bubble machine, model train and a pretend corner store. Though the Children’s Museum targets kids between the ages of 2 and 12, the museum is an experience for the whole family. The main branch of the Erie County Public Library, located at 160 East Front Street near Dobbins Landing, is named for Raymond M. Blasco, a local physician whose generous donations helped build the new library. In addition to the Raymond M. Blasco, M.D. Memorial Library, the Erie County library system has four other branches – Edinboro, Iroquois Avenue, Lincoln Community Center in Fairview and at the Millcreek Mall – as well as traveling bookmobile services. Blasco Library is more than just books: beyond its more than a half-million volumes, the new facility attracts patrons with its extensive collection of CDs, videotapes, DVDs, children’s toys, genealogical information and Internet access. Certainly, learning does not need to stop at a high school or collegiate level. The Erie region offers many opportunities to expand one’s knowledge through a wide variety of resources. Many courses and educational events offered around town are listed in Showcase, a weekly publication (every Thursday) of the Erie Times-News. You’ll find everything in Showcase, from free lectures on a variety of topics, to classes in figure skating and water safety.